If there is one beauty product that is sending me to heaven recently it has to be The Comforter Shower Cream by LUSH Cosmetics. 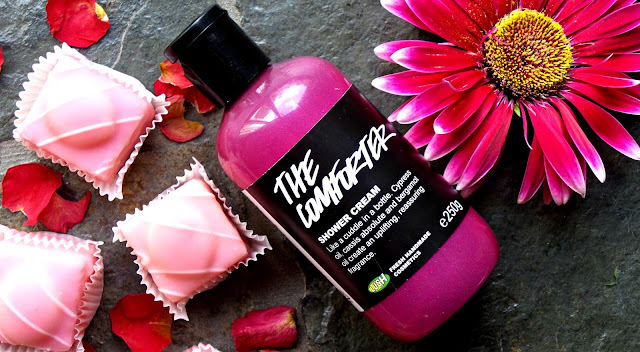 The Comforter scent comes from its much loved The Comforter bubble bar, and it has been a favourite amongst LUSH shoppers for years (if you haven’t tried it already it is an absolute must). Whilst it exclusively was only sold in the much beloved Oxford Street (London) store, everyone else wanted to be partnered in the shower with this berrylicious bottle so it is now sold across all UK stores (hooray). 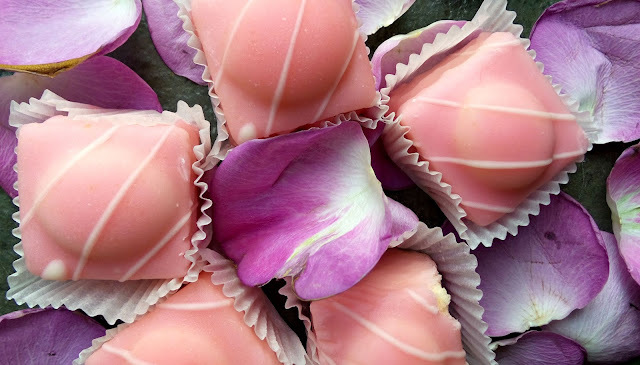 It almost reminds be of the satisfaction that a good French Fancy gives me… mmm here’s some to tickle you fancy (get it?). Most people can identify this scent from a mile a way and it is somewhat an iconic product that the company sells across the world. 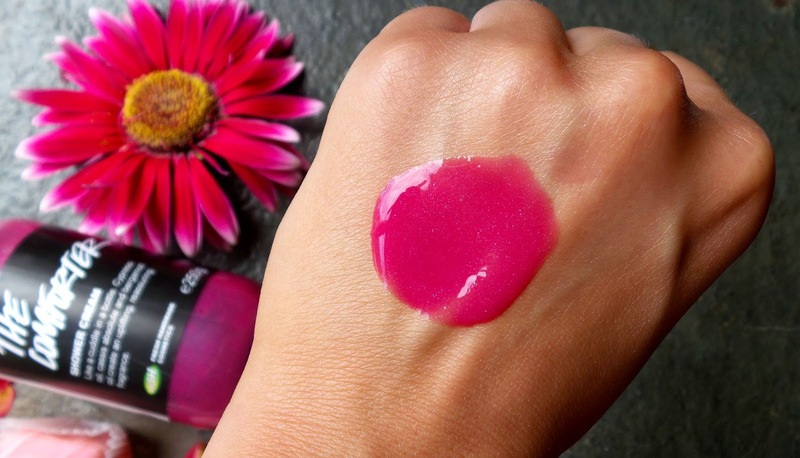 It’s bright pink presence is enough to turn your head and its sweet berry scent is enough to comfort you in any given shower moment (hence its name). I wouldn’t consider this product to be a seasonal one because it is suitable for any time of the year so hot cold, summer or winter, you can lather your body in sweet heaven at any time and moment (hell yeahhh). Now I must make it clear that this product is a shower cream and not a shower gel. The difference between the two is that it doesn’t lather up as much as a gel, but it is a lot more moisturising than a gel (if that makes sense?). Although it doesn’t create bubble glaciers like its fellow bubble bar sister, it however creates enough to cleanse and refresh the body in its sweet glorious way. I would say that if you completely adore the Snow Fairy range that only comes out at Christmas time, this shower cream is just the perfect alternative. LUSH says: ‘This berrylicious, reassuring shower cream brings to mind warm, familiar memories. The blend of sweet cassis absolute, uplifting bergamot and assuring cypress essential oils create a blackcurranty aroma that’s like being wrapped in a snug hug’… who doesn’t love a hug hey? You can pick up a 100g bottle for £4.75, a 250g bottle for £9.50 and a 500g bottle for £15.95. It is definitely worth it if you suffer from seriously dry skin although I would ask for a tester before purchase if you have very sensitive skin. Will you be grabbing yourself a bottle?